Home scalp therapy treatment serum What is HR23+ Hair Growth Serum? 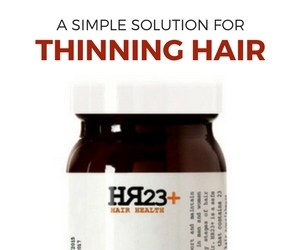 What is HR23+ Hair Growth Serum? 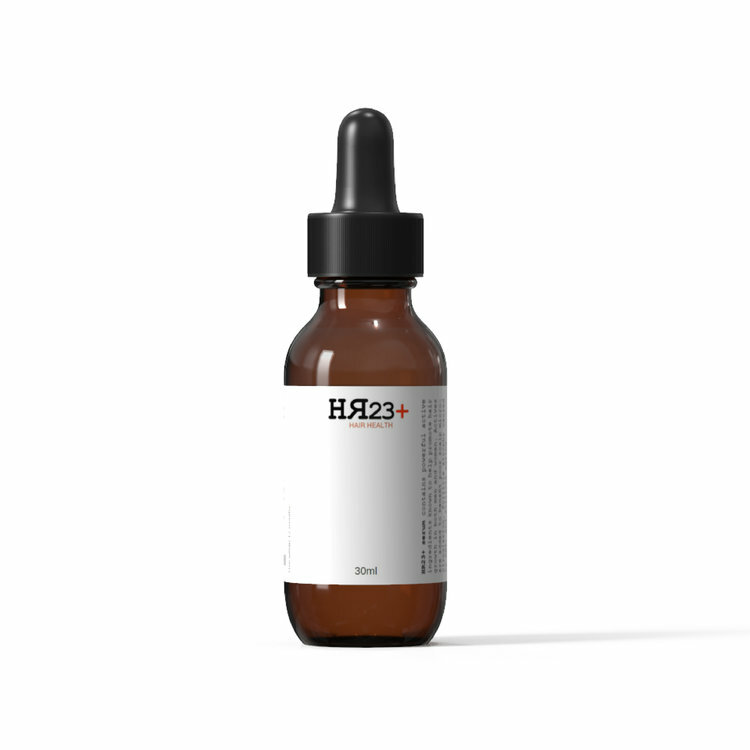 HR23+ Scalp Therapy Treatment Serum is a topical liquid that is made from 43 key active ingredients that can help prevent hair loss and thinning hair in both men and women. This topical liquid is safe and free of any side-effects. The formula contains the advanced anti-hair loss ingredient – Keratinocyte Growth Factor (KGF). Functional tests prove that Keratinocyte Growth Factor can inhibit the formation of DHT (the cause of hair loss) and promote healthy hair growth in men and women. The ingredients are clinically tested to improve hair health and prvent common forms of shedding. The serum is a fast acting formula that can treat hair loss and effectively regrow hair in men and women suffering from early stages of hair fall and thinning. With key additives saw palmetto and Keratinocyte Growth Factor (KGF), the solution works as a DHT blocker and promotes hair growth in men and women. The potent ingredients act from the root of the cause, helping men and women strengthen weak hair follicles and generate stronger hair growth. The formulation provides the essential nutrients to regain function of the hair follicle, allowing for thicker and healthier hair growth. Full nutrition is provided to compensate for loss of nutrients to the scalp brought about by poor blood irrigation. This serum has combined 43 of the best hair health ingredients with key growth essentials into one winning topical liquid. Keratinocyte Growth Factor (KGF), also known as FGF-7 and heparin-binding growth factor-7 (HBGF-7) and a member of the fibroblast growth factor family, is a major part of the serum. KGF has been found to stimulate hair growth. With continuous use, this product can refresh the hair follicle function and allow your scalp to absorb the necessary nutrients that regrow hair. HR23+ Serum should be used by male or female suffers of early stages of thinning hair (Norwood Scale 1-4). Users of HR23+ tend to be men aged 21-50 and women 35-50. Although the serum is made from 100% natural ingredients and is safe, It is always advised to speak to your doctor before applying any liquid formulas onto your scalp. What Can You Realistically Expect From Using it? This is not a miracle formula. It is specifically designed to treat people that suffer from early stages of hair loss on the scalp/crown area. Using this serum can increase your chances of preventing further hair loss, and in some cases it may generate new hair cells due to its powerful follicle strengthening ingredients. With each individual the results of this serum will vary, but if you act quickly, the serum can at least slow down hair fall and extend your hair density. Again, it is always advised that you consult with your doctor before trying products that are directly applied to your skin. Apply a few drops (about 1ml) of serum onto the desired areas of your scalp. Leave in for a minimum of four hours, and then wash out. Do not use this serum if you are pregnant or breastfeeding.